These Double Adjustable Aluminium Forearm Crutches feature an anatomic grip for added comfort. They are extremely lightweight and durable. These Double Adjustable Aluminium Forearm Crutches feature an anatomic grip for added comfort. They are extremely lightweight and durable. 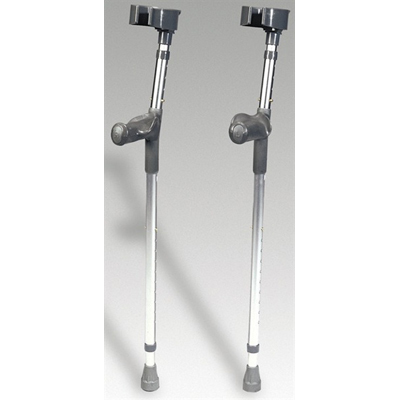 The crutch height is easily adjustable in 1" increments using the push-button mechanism. The large grey rubber ferrules offer excellent traction.